[블리치] 이치고 VS 아이젠.. 최후의 월아천충 무월..
Sosuke Aizen Was Better As? 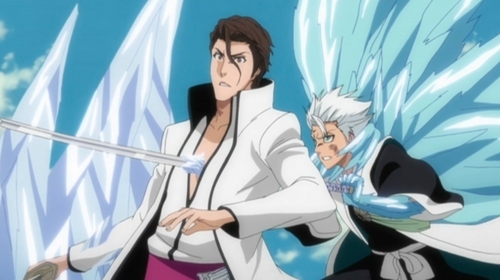 What Would Be The WORST Aizen Pairing Ever!? 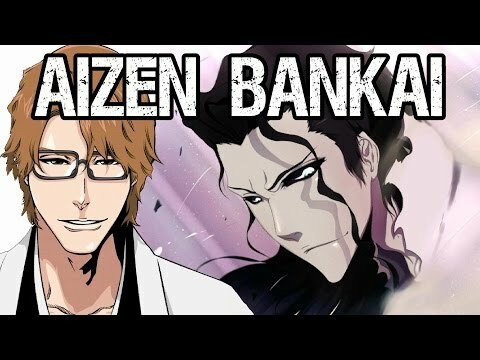 Which Version Of Sōsuke Aizen Do Think Is Hotter? who is meer like aizen? de keuze van de fan: niether of them are AWSOME to be like him!! Does Grimmjow die after being hit door Nnoitora? !Please i must know!!! bleachaday is finish so come and kom bij us at this website. As u run down the corridor u hear footsteps behind u running after you. There is this feeling swelling up inside u a feeling of capture, claustiphobeia, and u try to shake it off but u can't.So u speed up but your not fast enough,suddenly arms capture u and instead of holding u down all they did was just hug u that was all.It was the type of hug u loved even when u were upset, it was Grimmjow's. u wake up in the infirmary.You feel sick to your stomach. Ulquiorra is sitting volgende to u a worried look on his face, yet still mixed with the usual stare.There are moniters all over you.Your frustrated because u know he is not going to talk to you. u lay there stressed.Then u hear a brief moment of sound outside the door. Stark walks in "Yo, Ulquiorra aizen wants to see you." "Alright i'll go." Ulquiorra says reluctantly. u wake up in the mornning feeling great!Looking around u see that Grimmjow is peacefully sleeping, his arms around you. A knock ruins the peacful moment, Grimmjow is up in a seconde already dressed he opens the door and makes a movement to u behind his back to get dressed and fast!You run into the bathroom and get dressed.When u walk back u see Aizen in the room Loly and Menoly behind him. 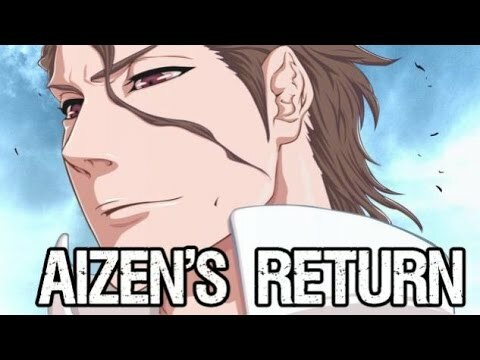 "Aizen! What are u doing here?! "you ask in shock. u sit in the meeting room (the one with the long white table). "that was very impressive. "Aizen zei referring to the match earlier that day.You blush as u look at Sziayel who was clearly disturbed door the comment. "Apparently from what i can see u have no immediate need for training, so i will excuse u from it temporarly. "Aizen continues. "Thank you! "You say excited that youll have meer time to rest in the morning. As u walk into the room Grimmjow stares at u "What? "you ask. "you have no idea how risky that was! "he yells. You're the greatest villain in the anime History!!!!! The smartest, the most handsome, the coolest and King of awesomeness. a video was toegevoegd: [블리치] 이치고 VS 아이젠.. 최후의 월아천충 무월..
Who is Toshiro Really Stabbing?